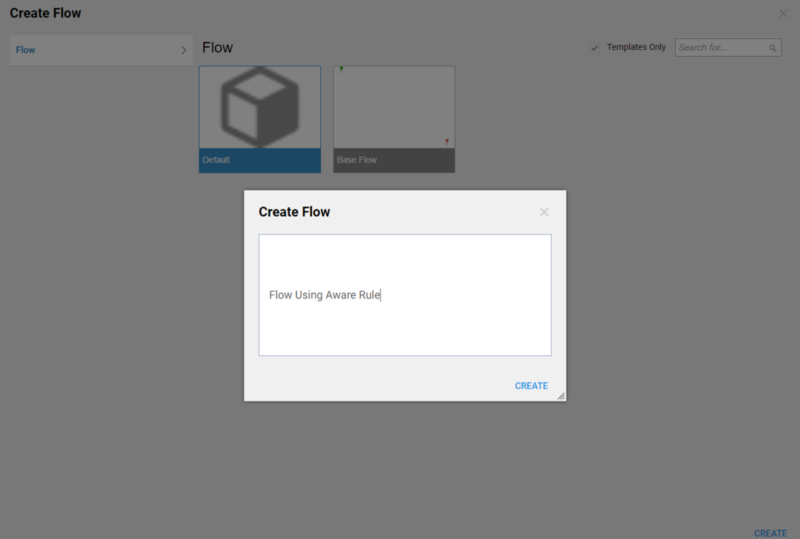 This tutorial demonstrates how to create and use Flow Aware Rule	. This type of the Rule is introduced in Decisions 4.0 . The main feature of this Rule is that it can be used in the Flow only and it is aware of all data in Flow . 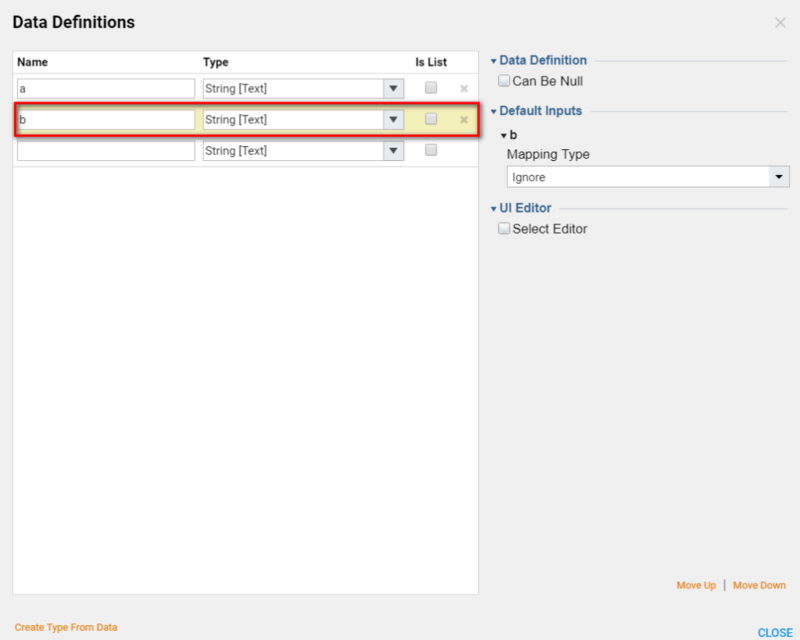 Mention, input data for this type of the Rule cannot be defined. 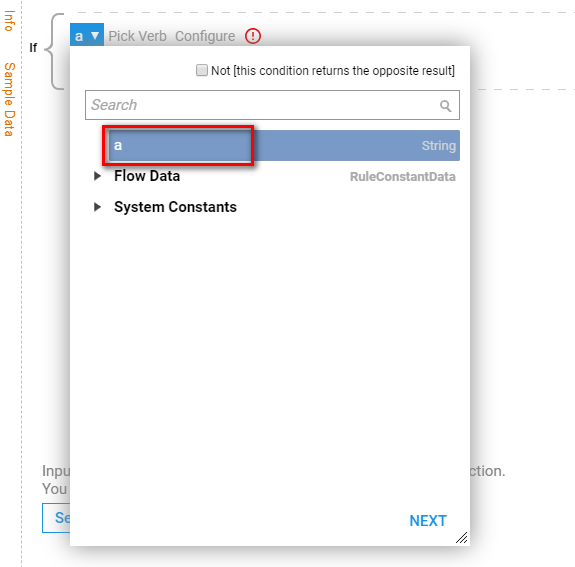 Flow Aware Rule was designed to speed up Workflow development process. 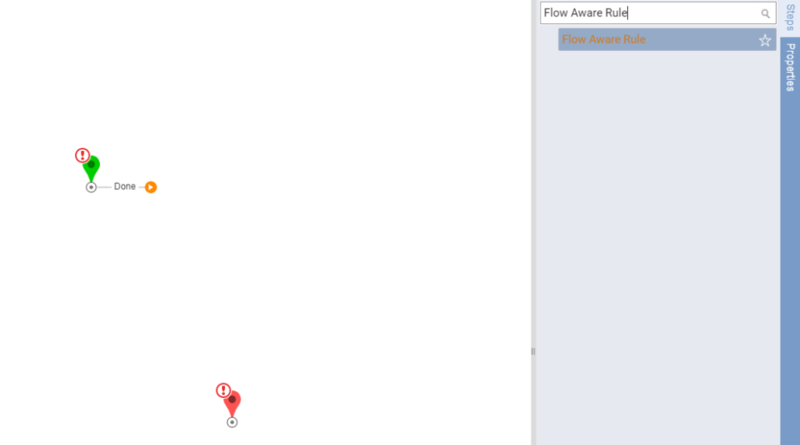 In this example we are going to create and overview Flow Aware Rule. We begin in the Designer Folder	with clicking Create Flow	on the Folder Actions Panel. Then, we Name the Flow and click CREATE	to proceed to the Flow Designer. 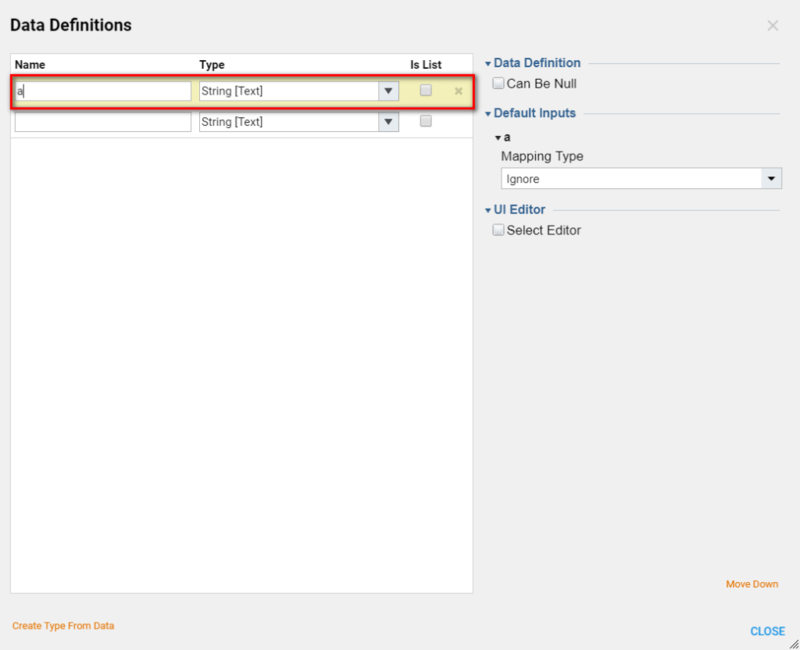 In the Flow Designer we select Start	step and click Show Editor	to add Flow Input Data. In the Data Definitions	window we add a simple String	input . And, close this window. 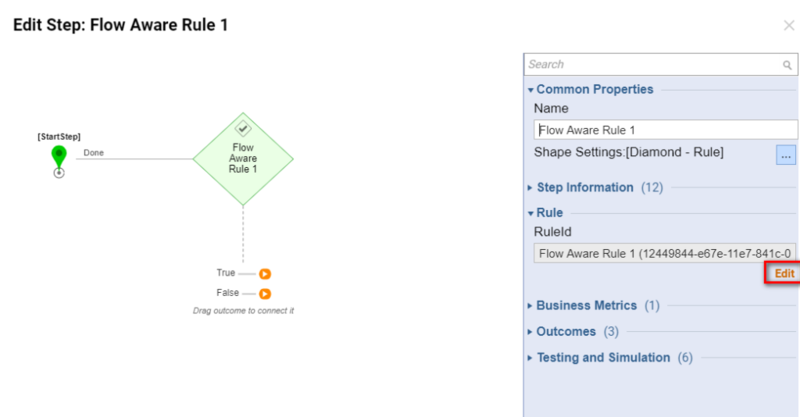 Then, we add Flow Aware Rule	step from Flows, Rules, Forms and Reports > Rules	category. Next, we click Edit	link under Rule	options in the Edit Step: Flow Aware Rule	window. Rule Designer opens… Mention, that in the Start Rule	window we cannot add Rule Input data. Our Flow Input String	that we defined on the Start Step	is available . We close Rule Designer. Back in the Flow Designer we add another Flow Input Data. 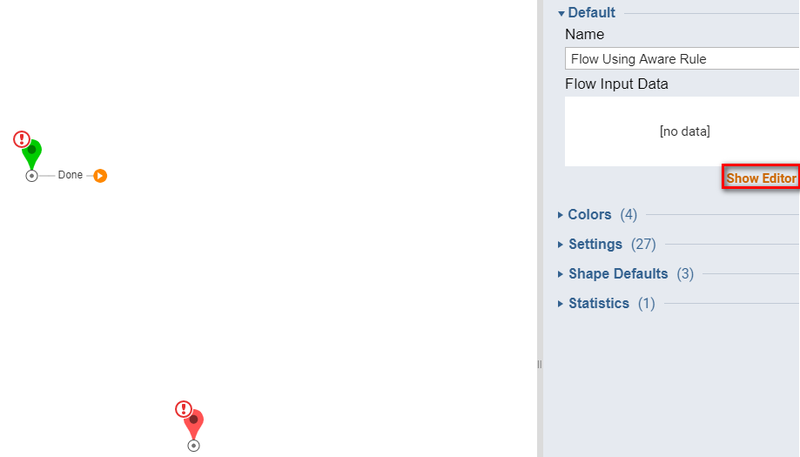 Now, both of our Flow Inputs	are available in the Rule	. 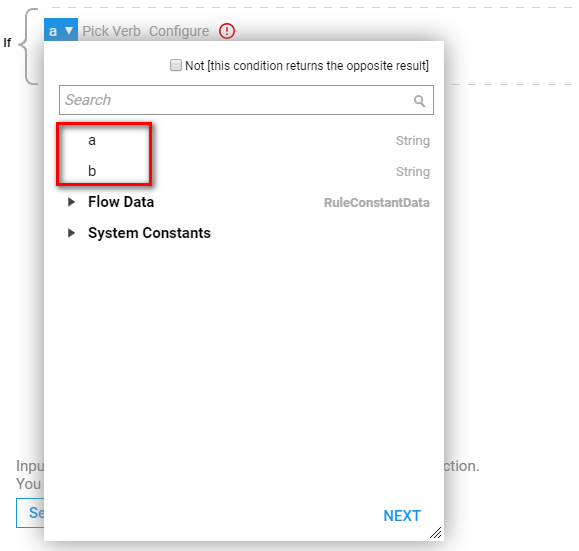 Flow Aware Rule	updates its data based on the data in Flow .